As part of the tutorials in this development track you will work with your child exploring the different facets of the BBC micro:bit, interact with the real world using the sensors, IoT:Bit board, etc, part of the Smart Science IoT Kit and more importantly explore the fundamentals of IoT (Internet Of Things). This development track provides access to all of the relevant micro:bit tutorials for the Smart Science IoT Kit. These tutorials will introduce you to the various electronic components (noise sensor, light sensor, PIR sensor, Pressure sensor, dust sensor, BBC micro:bit, etc.) part of the Smart Science IoT kit including the relevant code blocks you will need to put together. You will use the Makecode block based coding platform to write your code. The Smart Science IoT kit is designed to help you get started with exploring the world of electronics with a focus on Internet Of Things (IoT). With the Smart Science IoT kit you will be able to interact with the real world using sensors, capture data from those sensors, upload the data to various IoT platforms and then visualize that data in real time. 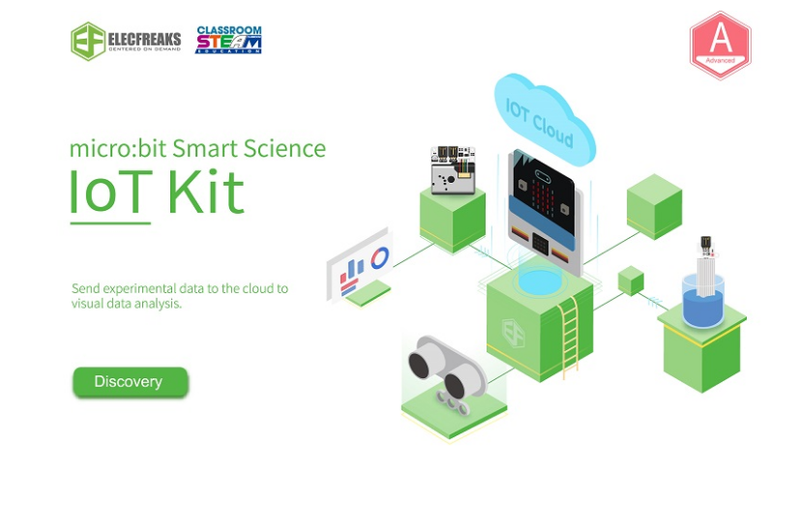 The Smart Science IoT kit is a great way to get kids of all ages to start exploring the world of electronics while learning the fundamentals of data collection, data visualization, managing IoT data on SaaS platforms, etc. 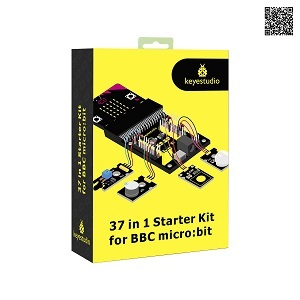 The Smart Science IoT kit for the BBC micro:bit is a great way to dive into the awesome world of electronics and get started with your own STEM (Science, Technology, Engineering, Math) learning journey. Here’s a list of tutorials that cover use of the components included in the Smart Science IoT kit for the BBC micro:bit.